Law and Public Safety Committee has given unanimous approval to a proposal by Councilmember Charlie Winburn to allow for the expungement of cannabis possession misdemeanors. The measure is now up for a full Council vote, which is expected to come this week. Under the proposed law, those who’ve received a misdemeanor for possessing up to 200 grams of cannabis within the city will be able to have the charge sealed from their record, meaning it won’t appear on a background check. In 2006, Cincinnati passed a law making the possession of up to 200 grams of cannabis a criminal (non-expungeable) misdemeanor with a potential 30 day jail sentence. 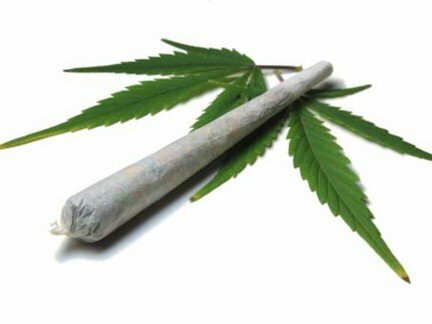 This law was repealed in 2010 to put the city in line with the state, which finds the possession of up to 100 grams of cannabis a minor (expungeable) misdemeanor with no possibility of jail time; possessing 100 to 200 grams can net someone a jail sentence of up to 30 days, but remains a minor misdemeanor. Winburn’s proposal would alter these criminal misdemeanors to minor misdemeanors, allowing the individual who received them to apply for expungement. The proposal, which would affect over 10,000 people according to Winburn, is supported by Cincinnati Police Chief Jeffrey Blackwell. * You (council) deserve an overdue congratulations on repealing 910.23 years ago. But It is not well known to the public that you did that. * Today you have an opportunity to change the perception of Cincinnati as captured by Mark Twain quip “that things happen 20 years later here”. * You will be taking a first step into the future rather than backwards like in 2006. * But Families with sick kids are moving out to places like Colorado. * I urge you to pass this legislation today; but consider starting a public dialogue on the larger question of our Drug Policy, in what I say is really Prohibition 2 or as Michelle Alexander, who addressed this council, calls it the New Jim Crow law. Hurry up Huron (CITY NOT COUNTY) OHIO!!!!!!! Get on the same page!!!!!!!!! !